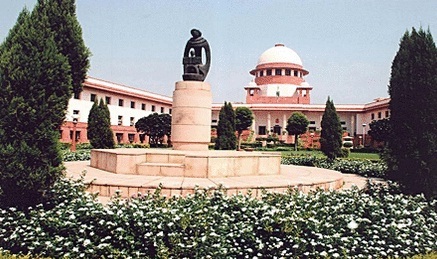 A five-judge constitution bench headed by the Chief Justice T S Thakur, which was hearing a petition filed by Aziz Qureshi and Virendra Kataria, former Governors of Uttarakhand and Pudducherry respectively, sought response from the Centre within four weeks, and posted the matter on March 28. Aziz Qureshi was relieved of his designated assignment as governor soon after Modi-led BJP came to power in Central government in May 2014. Qureshi had alleged that that the then Home Secretary had threatened him to resign from the post or face removal. Kataria, a former Congress leader, was also sacked as Puducherry Governor in July 2014, who made similar allegations on the ruling government in centre, claimed that, the designation was taken away as soon as Modi-led union government came to power. Court hearing proceeded on these grounds, and, during the hearing, the bench, observed thus — It is a serious matter. We may also have to lay down a format in which communications with such high constitutional dignitaries takes place. Attorney General Mukul Rohatgi represented the Centre, while senior advocate and Congress leader Vivek Tankha was appearing for the two sacked Governors. The plead further revealed factualities, which the bench observed thus — while a phone call was made to Qureshi by then Home Secretary Anil Goswami, in the case of Kataria, it was the Private Secretary of the Home Secretary, who had rung up the Governor, and, thereby, a notice was also issued to Goswami. Qureshi had taken charge of the office on May 15, 2012 for a tenure of five years. It was claimed in Qureshi’s petition that Article 156 of the Constitution had not been followed and Home Secretary threatening the Governor was unconstitutional. It said — Issue an order or direction declaring that the impugned action of threatening the Governor to resign or face removal is constitutionally perverse, legally untenable, arbitrary, capricious and malicious and reprimand Home Secretary(and/or the persons responsible for such action) for his attempt to give such diktat to his constitutionally superior functionary…. There is no question that the Union Government or Home Minister, through Home Secretary, can set terms to the Governor and attempt to extract resignation under the fear of removal. Such mode of action is alien to the Constitution and violative of Constitutional ethos.